Things are heating up around Walt Disney World Resort, quite literally, and one of the best ways to enjoy the beautiful weather is a fun and relaxing day at Disney Water Parks! This spring, we’re rolling out some new offerings that are sure to make your visit to Disney’s Typhoon Lagoon or Disney’s Blizzard Beach even more “cool” and magical. Aside from signature attractions such as Summit Plummet, Crush ‘n’ Gusher and two relaxing lazy rivers, Disney Water Parks offer unique food and beverage options that you don’t want to miss. After a day of splashing around, be sure to get your hands on the new menu items available this season. Chow down on the Blizzard Burger at Blizzard Beach, topped with cheddar and a sweet and smoky ham-jam on a pretzel bun, served with cole slaw and steak fries. There are also new plant-based rice bowls, and for dessert, chocolate-dipped key lime pie. Over at Typhoon Lagoon, munch on the guacamole flight with vegetable, pineapple bacon, and shrimp varieties, or enjoy a jerk chicken rice bowl or a plant-based bratwurst sandwich. And while you’re relaxing in the sun, be sure to have a Blue Typhoon Colada or Tropical Storm in your hand. 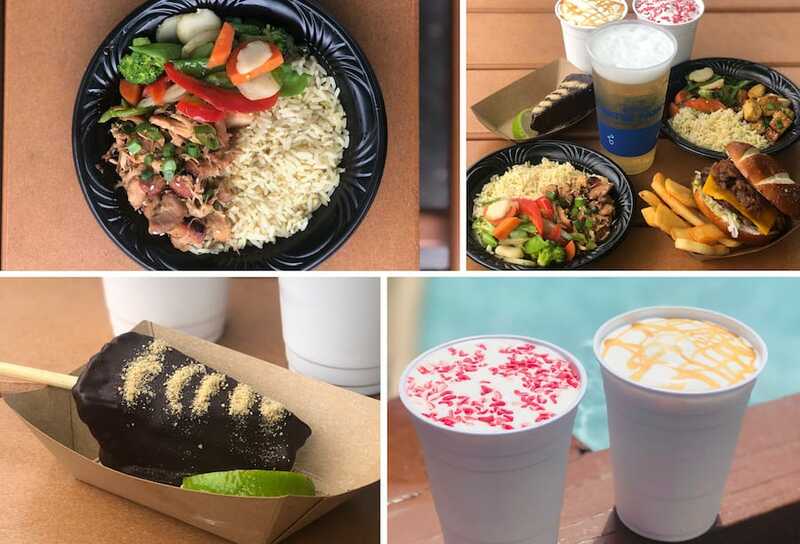 These are just some of the new food and beverage offerings available at Disney Water Parks, and I am getting hungry just thinking about it! For the first time, guests can bundle and save 20 percent by purchasing the Splash Pack, which includes select food entrées and dessert options, a refillable Disney Water Park mug and a Disney-themed towel to take home. 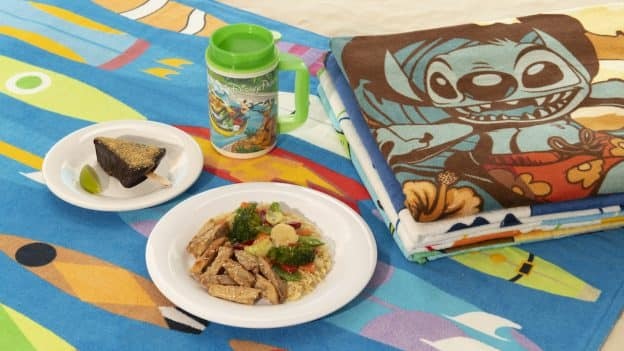 Guests will be able to choose from “Lilo and Stitch,” “Toy Story,” “Finding Nemo” and of course, Mickey Mouse-themed towels as a souvenir from their fun-filled, water park day. Available March 26-May 4, Splash Packs costs $44 per person, plus tax. Purchase this limited-time, convenient offering at Singapore Sal’s at Typhoon Lagoon or the Beach Haus at Blizzard Beach. It’s easier – and yummier! 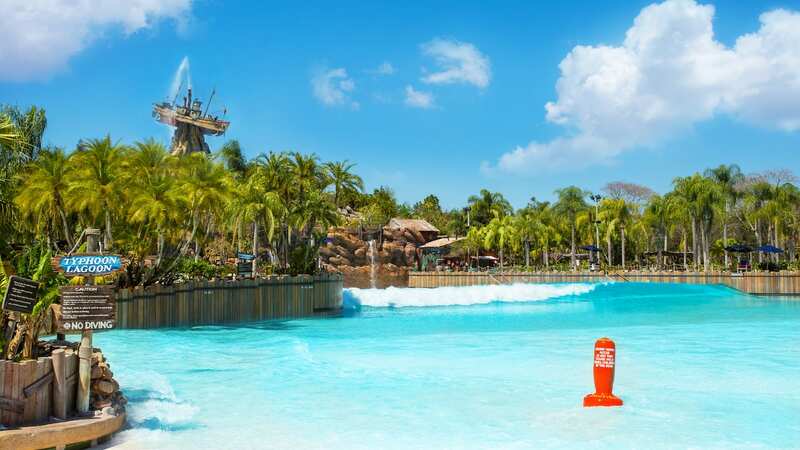 – than ever to spend a day soaking up the sun at Disney Water Parks, making them a must-do during your Disney vacation. For more information and to purchase tickets, click here. The new Splash Packs sounds like the perfect enhancement to complete our Disney water park day! I especially love the idea of having a high-quality souvenir towel and refillable mug that we can fondly use over and over again at home. We are going in August, I hope this is still around! Hi! Not going until August but the splash Pack sounds great. Do you think if it sells well they might continue it through Summer?